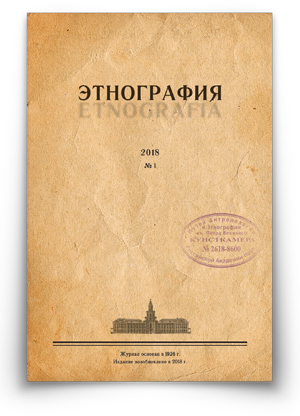 Peter the Great Museum of Anthropology and Ethnography (the Kunstkamera) of the Russian Academy of Sciences introduces journal Etnografia (Этнография). The idea is to revive the Etnografia journal which was published in 1926–1930, whilst edited by an outstanding oriental scholar, one of the founders of the Russian school of Indology, academician Sergey Oldenburg. In its heyday the journal dealt with a broad spectrum of ethnographic issues, identifying new methods and directions for studies, publishing novelty research by Lev Sternberg and Vladimir Bogoraz, Vera Kharuzina and Georgy Prokofiev, Sergey Tolstov and Sergey Tokarev, which had entered the treasure trove of the world ethnography and related disciplines. The range of interests which the journal represents spans in-depth traditions of ethnology of the 18th century, achievements in the field of ethnic studies characteristic of the 19th and the 20th centuries, method of thick descriptions and interpretations popular in the current post-modern scholarly mielleu, topical subject-matter of ethno-cultural inheritance and potentials, ethno-confessional contacts and conflicts, ethnic museology, cyberethnicity, etc.